To Paint or not to Paint? Help me decide! I had this old oak entertainment center that didn’t fit any TV we have. And here it is. 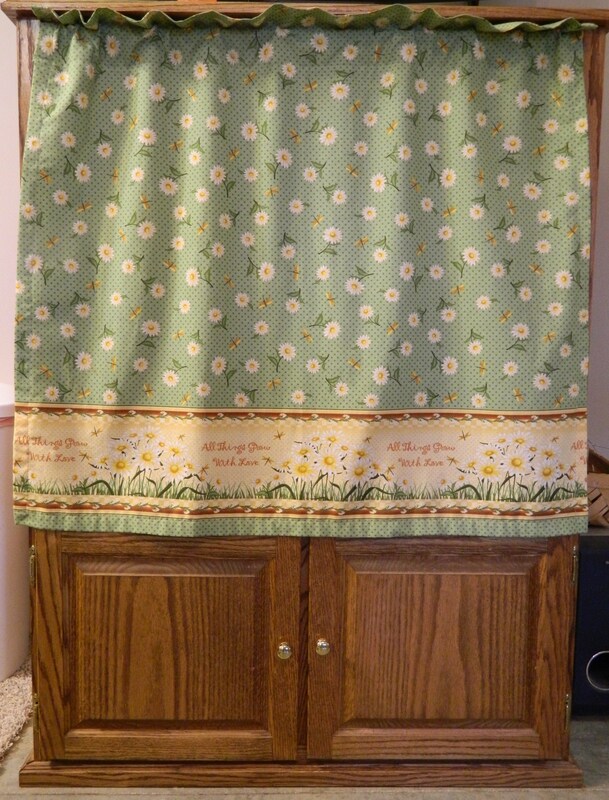 I made the curtain to go over it because I had a bunch of needless stuff shoved in it. I thought about getting rid of, but then again, I just knew it could be good for something. 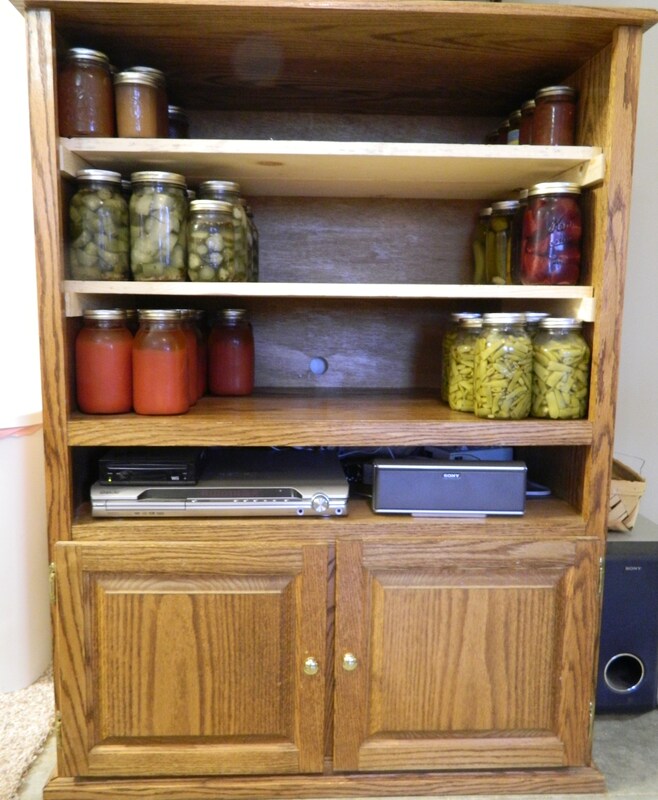 My husband, Lance, worked very hard to put me some shelves in this old thing so I could store my canning and I love it!! He’s just the greatest! It still houses our DVD player, WII and a speaker for our surround sound and I use the bottom for storing my crockpots and miscellaneous kitchen items. Now here is my dilemma! Do I leave it as is, stained oak, or do I paint it to make it look old? I thought about painting it a milk paint color (which is an antique color) and then crackling the paint and sand here and there to make it look as if it’s an antique. Please vote, because your opinion matters. You 24 hours before the poll closes. If y’all decide that I should paint the ugly ole thing (subliminal message) I will post pics when I have the job, task, ….. when I have completed the project!